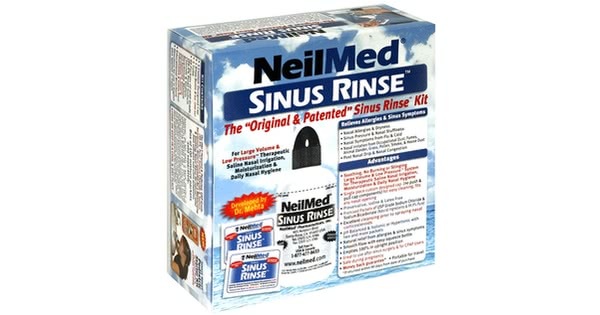 " The sinus rinse does a great job of cleaning my sinuses and it gets rid of my annoying post nasal drip. I'm sold on the product. " Sinus Rinse provides natural relief from allergies and sinus symptoms. The premixed packets of USP Grade Sodium Chloride and Sodium Bicarbonate (99.9% Pure Salt and Baking Soda) are pH balanced for maximum comfort and precisely measured to mix with 8 oz (240ml) of lukewarm distilled water. There is no guess work in preparation. Use the easy-squeeze bottle to apply an entire single dose in an upright position. 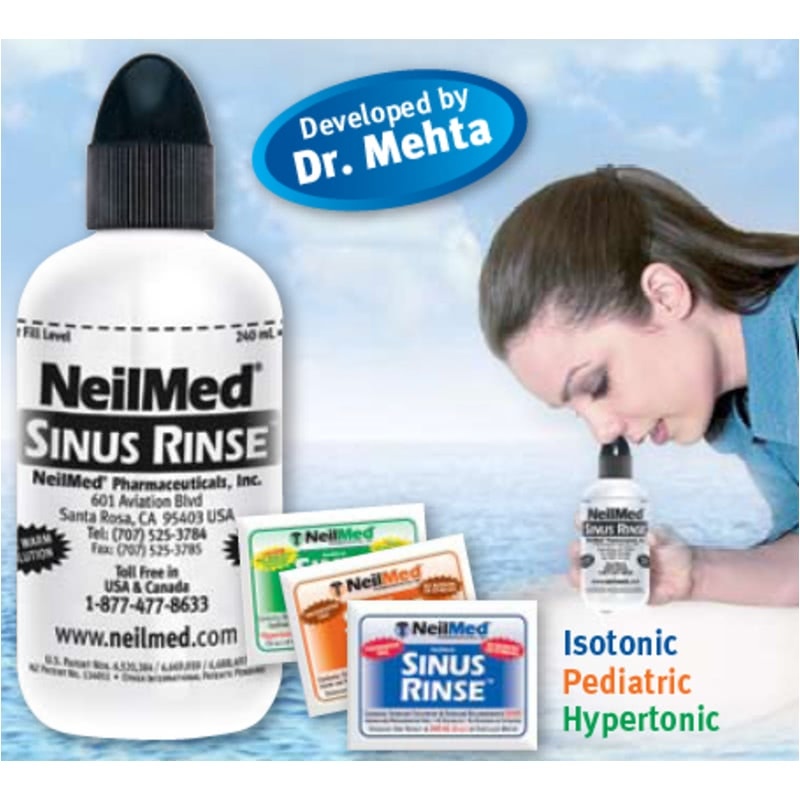 Developed by Dr. Mehta, Sinus Rinse relieves nasal allergies, dryness, sinus pressure, Cold and Flu nasal symptoms, irritation, post nasal drip and congestion. The patented premix works to sooth and moisturize. Use Sinus Rinse for immediate relief or as a preventative treatment. 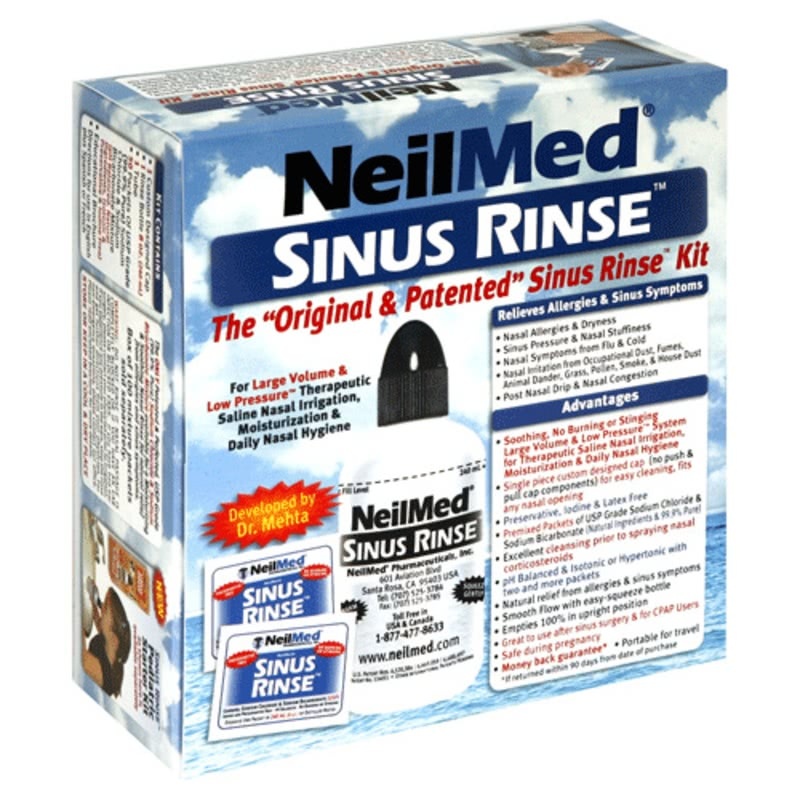 To view NeilMed's Instructional Guide, click here: Sinus Rinse Instructional Guide.